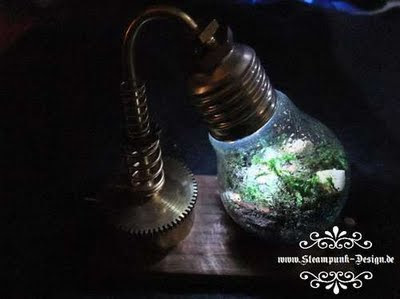 We've seen the lightbulb terrarium craft idea on the F&M before - but here is a nifty idea to use a solar light to actually light up the terrarium! Beautiful idea and excecution! Awesome!! We have always wanted to do this!! The solar light is a great idea! I do think the solar light is a clever way to include illumination in the terrarium.